Devon Freewheelers is an official supplier to NHS Blood & Transplant. The charities transplant team is on standby 24/7, 365 days a year, ready to roll when ever a call for assistance comes in. At the start of the process, the team carry the initial blood and tissue samples for cross matching and then later on can transport the SNOD's (specialist nurses), the medical teams, the donor organs and on occasion even the patient. Below is the incredible story of Mimi Cook, written in her own words, who's father is a volunteer Blood Bike rider for the charity. 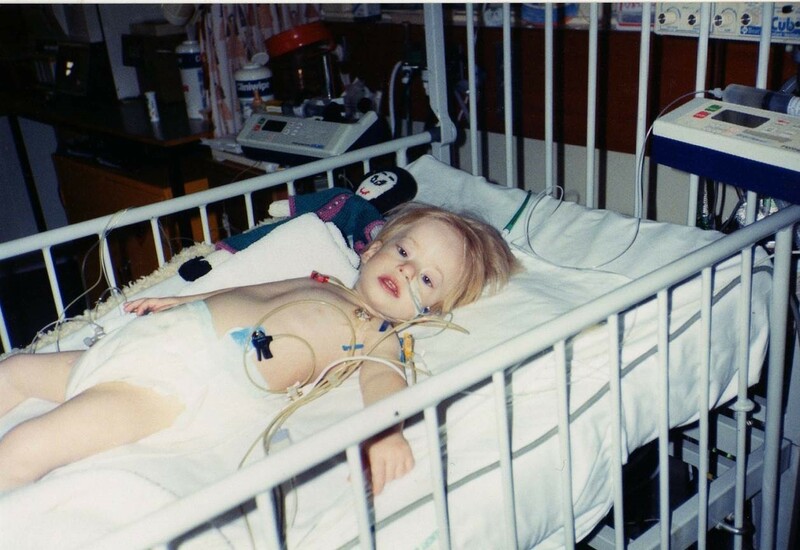 Mimi received a heart transplant 25 years ago! In October 1992, at 6pm I was born at Gosport Maternity Home. However, it was immediately clear to Dr’s that something wasn’t right and, I was transferred to Portsmouth General Hospital the same evening and kept in ICU for the night. The next day I was transferred to Southampton Hospital for a ‘heart clinic’ day. I was seen by Dr Tony Salmon who kept me in for a couple of days before diagnosing me with a heart condition - ‘Dilated Cardiomyopathy’ of the right ventricle. From there my condition was kept stable with the aid of medication and regular check-ups for almost a year and a half, until mid-February 1994. It was then that I very suddenly went downhill and was rushed to Southampton by ambulance and kept there for 2 days, constantly plugged into machines. When my condition didn’t improve, I was transferred to Great Ormond Street Hospital (known as GOSH) for further investigation to see if I would be eligible for transplantation. The very next day, at GOSH, my parents were told that with their consent I would be put on the emergency transplant waiting list (for Europe and Scandinavia!). After considering the rest of my condition and what quality of life post-transplant I could have my parents gave their consent. I was then incredibly lucky and was on the list for just 6 weeks before my call came and I received a ‘Domino Orthotropic Heart Transplant’ at GOSH on April 6th 1994. The donor chain involved in my transplant was quite different to ‘normal’. It started off with a child who had passed away and whose parents had consented for their organs to be donated. Their heart and lungs were then passed on to Paul who was the 7-year-old boy in the room next to mine. He had Cystic Fibrosis and was in need of a lung transplant. At the time they were unable to perform a separate lung transplant for him (but he, as well as his parents, had agreed for his heart to be donated). So Paul’s heart was passed on to me and then, although the main part of my heart was no use to anyone, some of the valves were still of use, so were then passed on to others that needed them. After my transplant I only had one episode of acute rejection and that was just a couple of days after, when I was still being monitored in ICU. This was very quickly rectified by a change in medication. Since leaving GOSH 6 weeks post -transplant, my life was almost entirely ‘normal’, with my transplant having almost no adverse effects, apart from the occasional Dr’s appointment or check-up. I took part in all normal childhood activities (myself nor my parents holding me back from anything), climbing trees, falling off my bike, exploring the length of the river next to my house, until I was called home for dinner and many sleepovers! A huge part of my life has been my involvement with Girl Guiding. I first joined the organisation just a couple of weeks after my 7th birthday, when I attended my very first Brownie meeting. I worked my way up through the stages, and now I run my very own Brownie Unit, as well as being a ‘Queens Guide’. My first ‘away from home ’job was as an activity instructor and group leader (AIGL) at PGL. PGL is a company of outdoor activity centres for children aged 7-17, where as an AIGL I was trained in, ran and taught various activities from zipwire, abseiling and climbing to orienteering, rifle shooting, problem solving and quad biking on a daily basis. It was a full on, fast, constantly on the move, enthusiastic in sun, rain, sleet, snow, wind kind of job and I loved it! I left PGL after 4 years of working for them and started working as a nursery teacher to gain childcare qualifications. I then left this job after 2 years, and have recently started a job as a HCA for the NHS. This is all to help me reach my goal of training to be a Play Specialist and working on paediatric wards. Whilst I was working at PGL, in the summer of 2015, I embarked on a mammoth adventure, I was selected to be part of an expedition team of heart and lung transplant patients from Harefield Hospital. We travelled to Ecuador to climb 5 of the highest mountains out there (it turned into 4 whilst we were there, as our last one decided to erupt and the national park it was situated in was closed!). We aimed to raise awareness of organ donation and post-transplant life. We also broke the record for the highest altitude reached by a group of transplant patients! 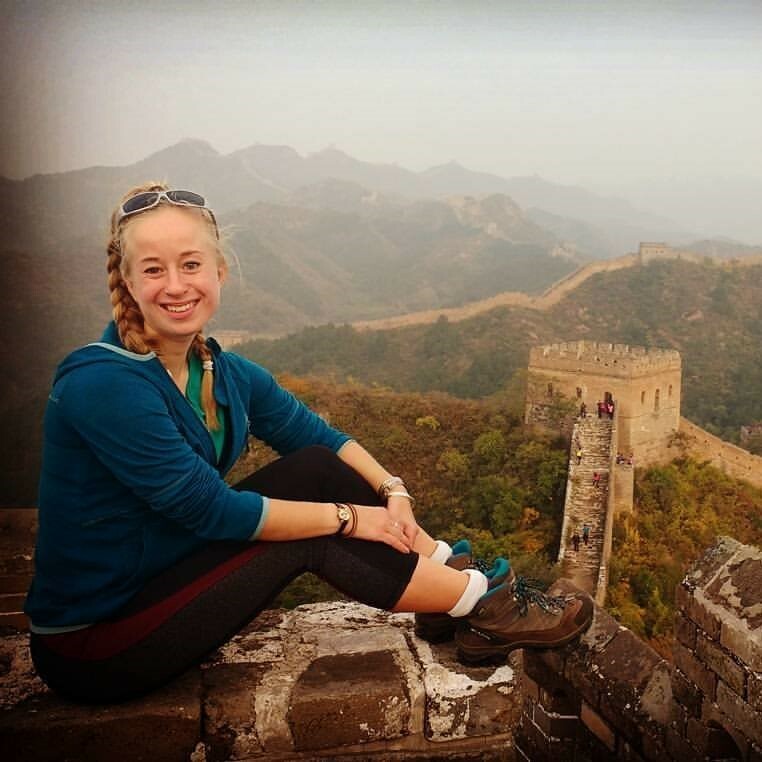 Another huge adventure I have undertaken is on The Great Wall of China, which I trekked along for 10 days with GirlGuiding…..it was awesome! On Saturday 6th April 2019 I and those closest to me will be celebrating 25 years since I had my transplant! One of those who will be celebrating with me, is my daddy, Dave Cook. In 2013, my daddy, who has always been a keen biker, heard about Devon Freewheelers, and volunteered as a rider. He wanted to be able to give something to a charity that he believed in, whilst also continuing with a long-lived hobby. He had to complete his Advance Rider qualification, which he studied and practised a lot for, before passing with flying colours! As a volunteer for the charity my daddy takes part in many different fund-raising events, raising awareness for blood and organ donation as well as the work the charity does wherever possible and, of course, is one of the riders. As a rider he works in conjunction with the NHS, providing a free out of hours emergency transport service for blood, breast milk, medication and organs. I am very proud of him for taking on this role, he is a fantastic advocate for the services the charity provides. And it makes me beam with pride when I see him smartly (and safely) dressed in his leathers and DFW uniform, riding on the blood bikes!